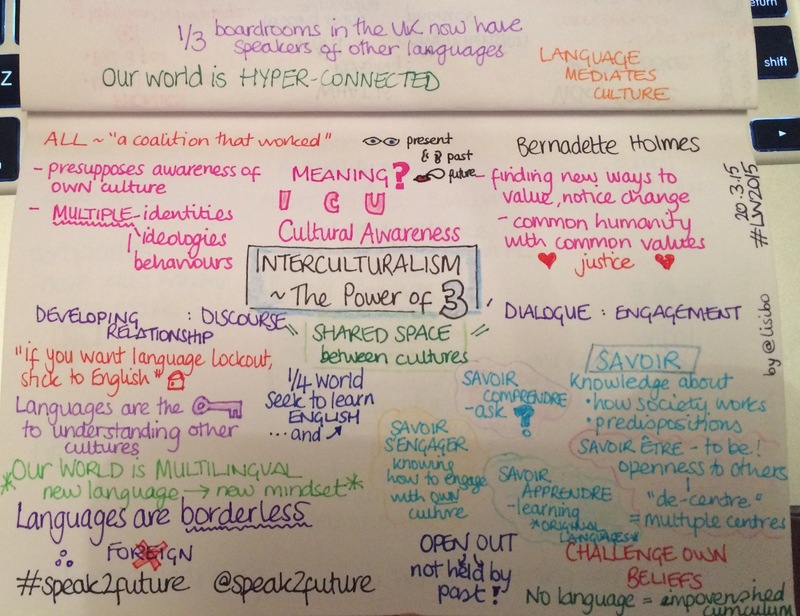 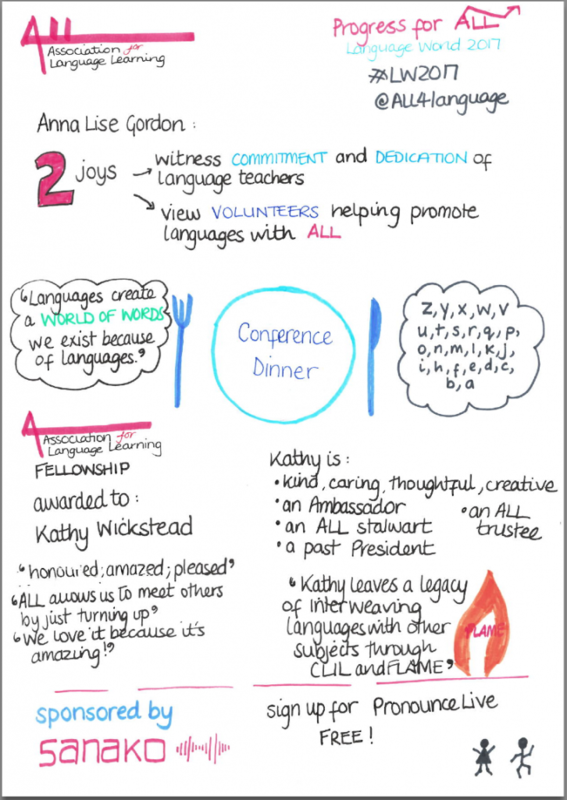 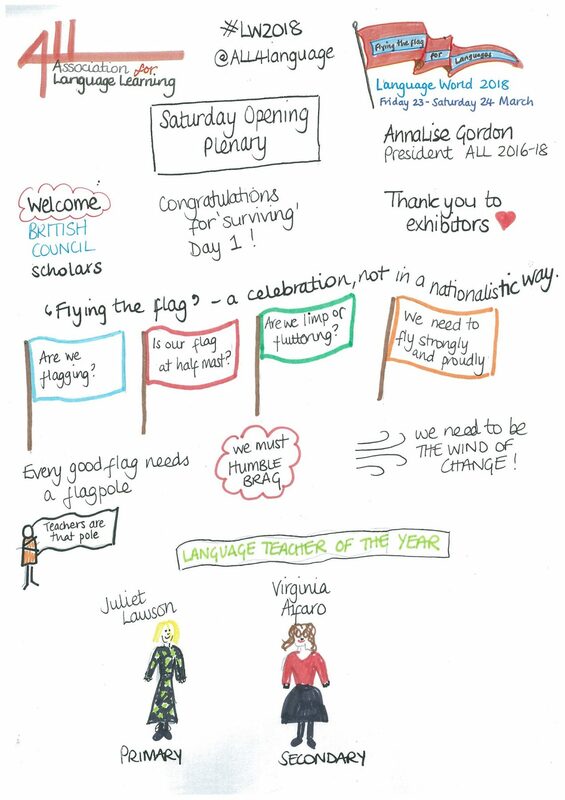 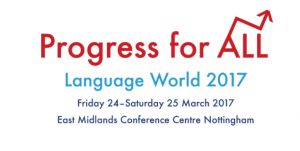 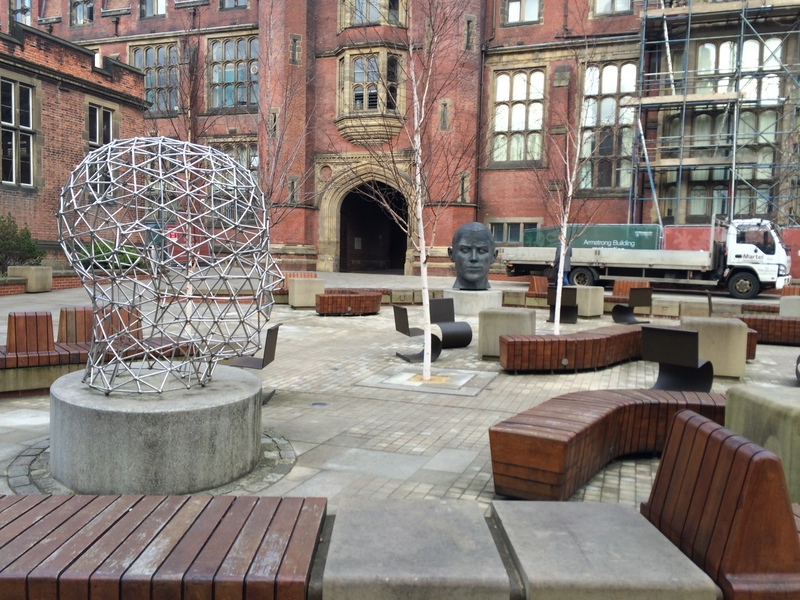 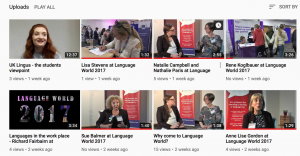 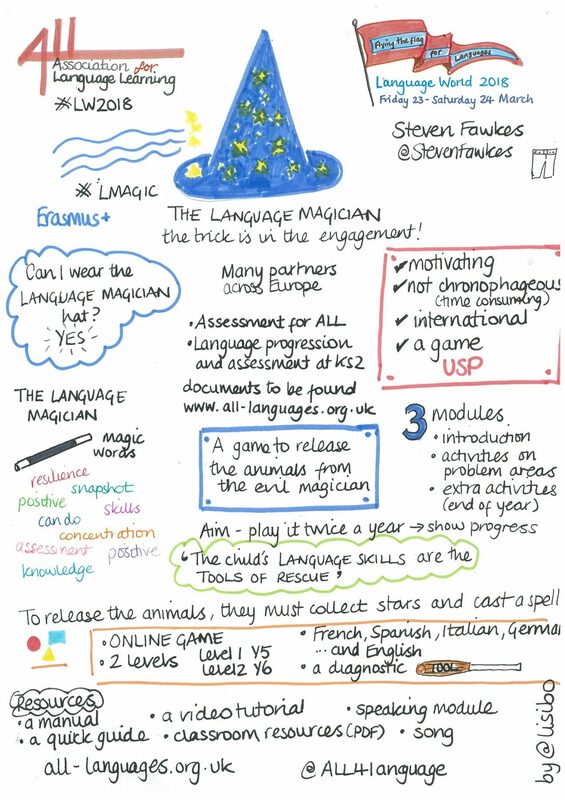 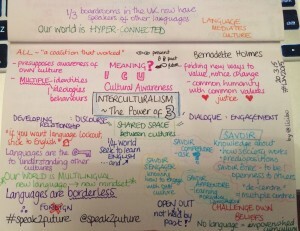 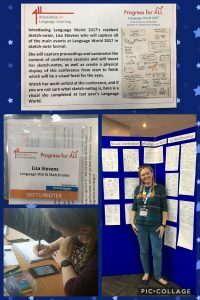 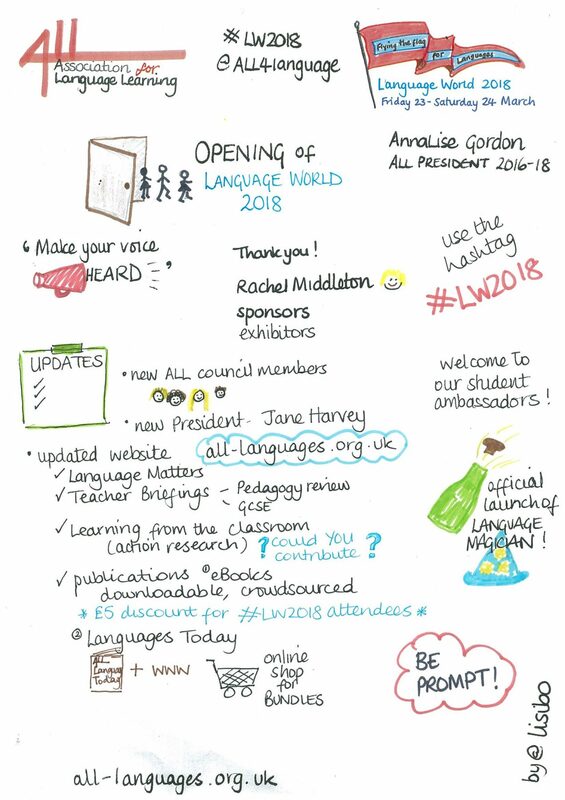 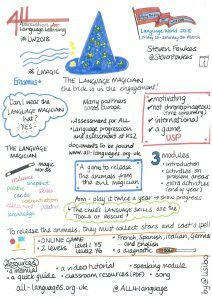 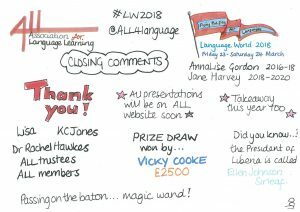 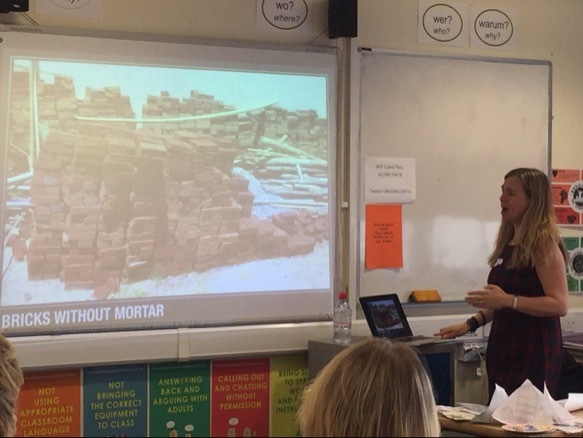 Last Thursday I headed to Newcastle for ALL Connected, the title of this year’s Language World conference taking place on 20-21st March at Newcastle University. 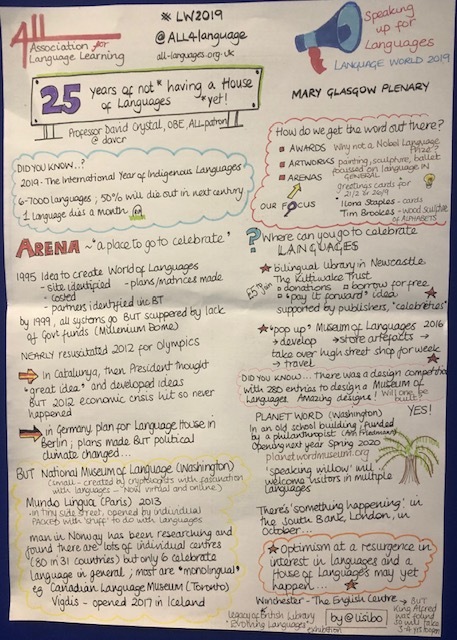 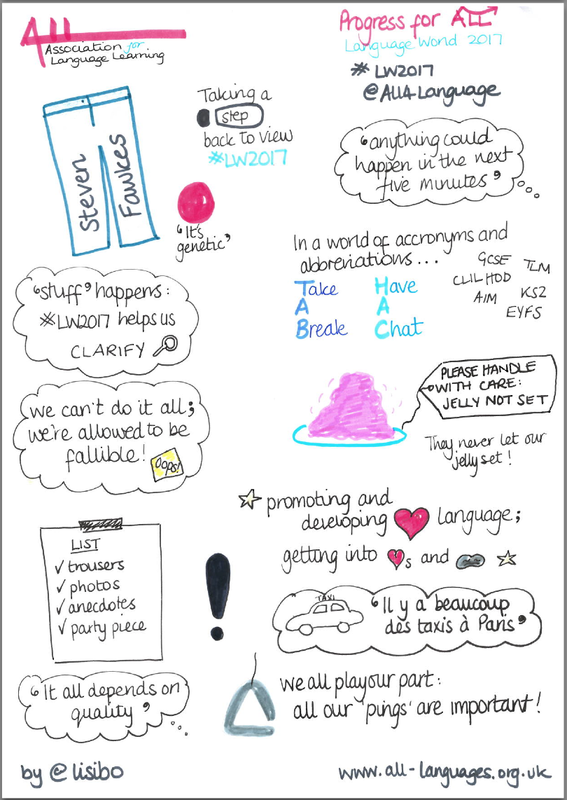 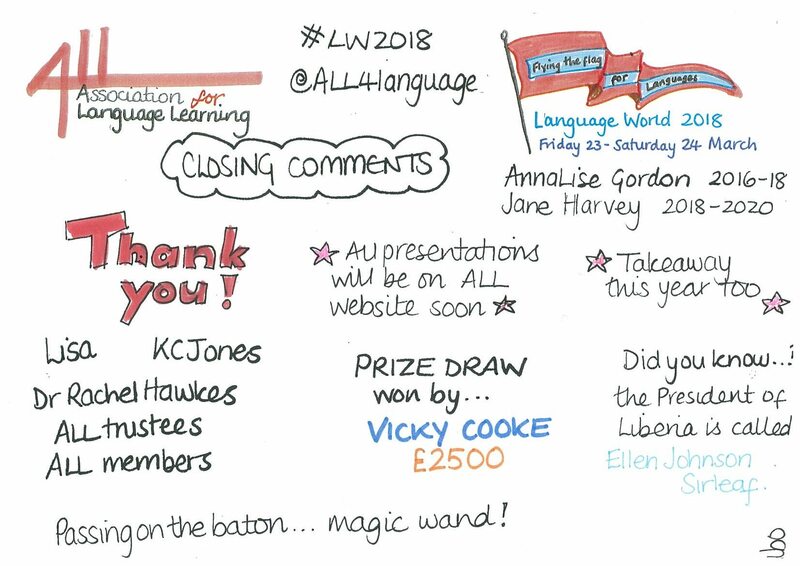 I look forward to LW each year as it’s a conference that offers lots of ideas but also lots to challenge my “little grey cells” and make me think. 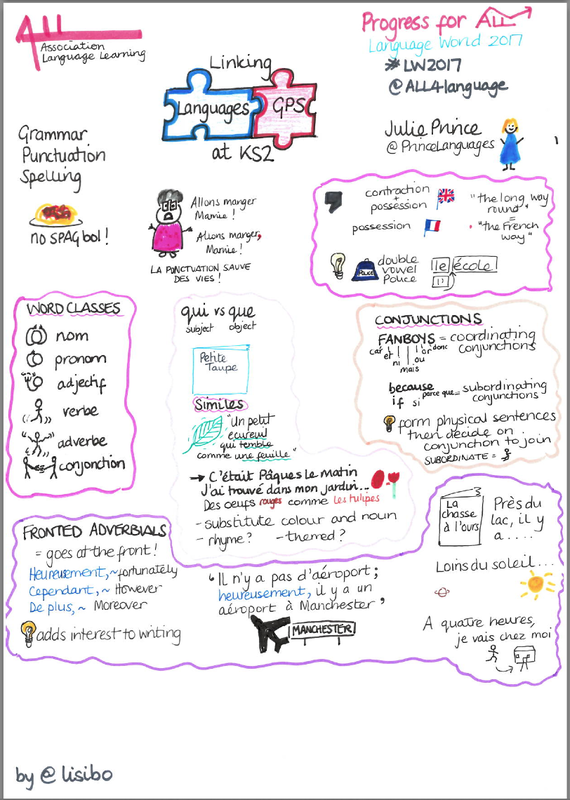 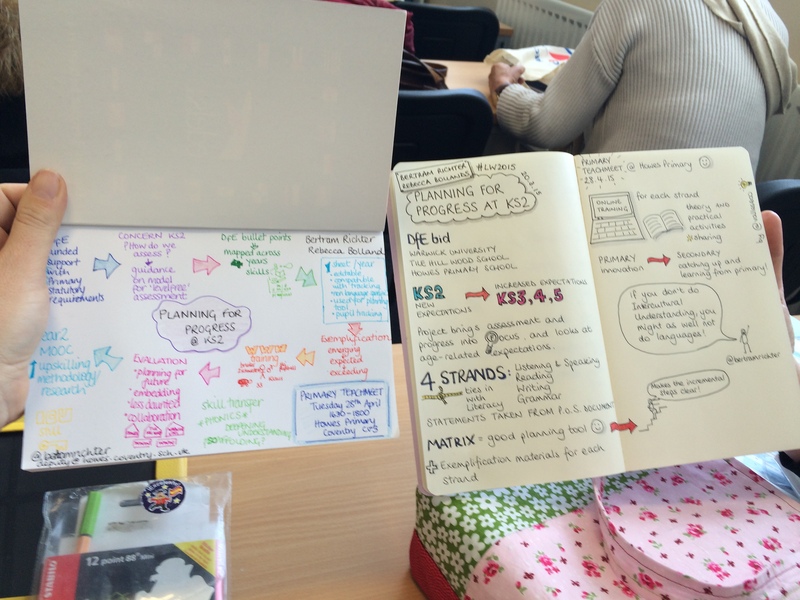 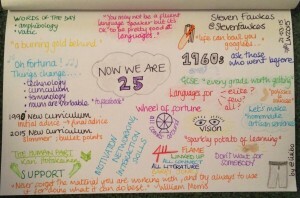 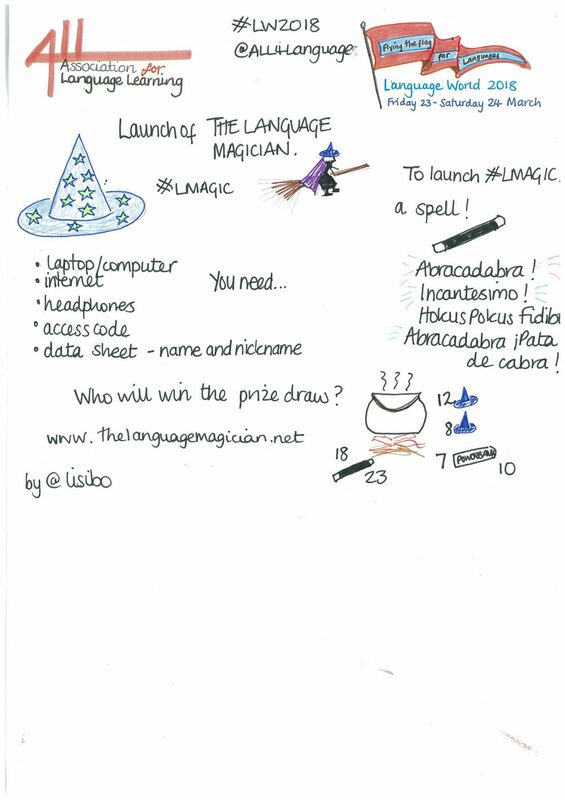 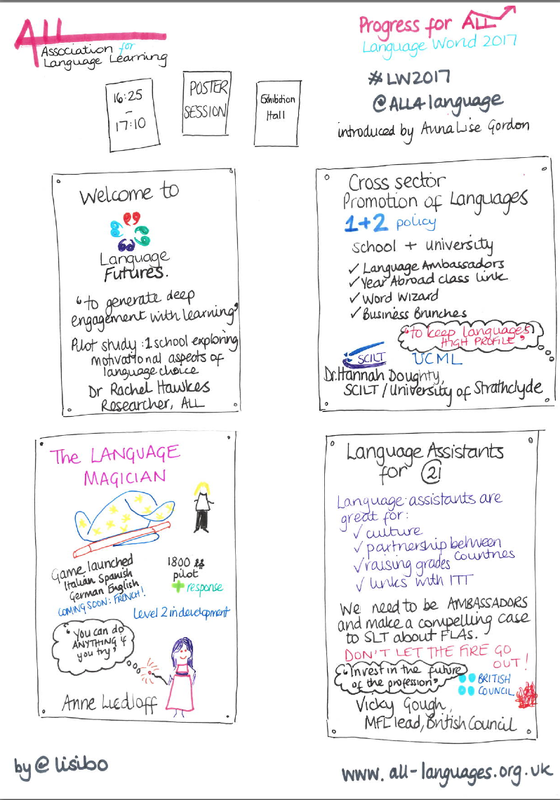 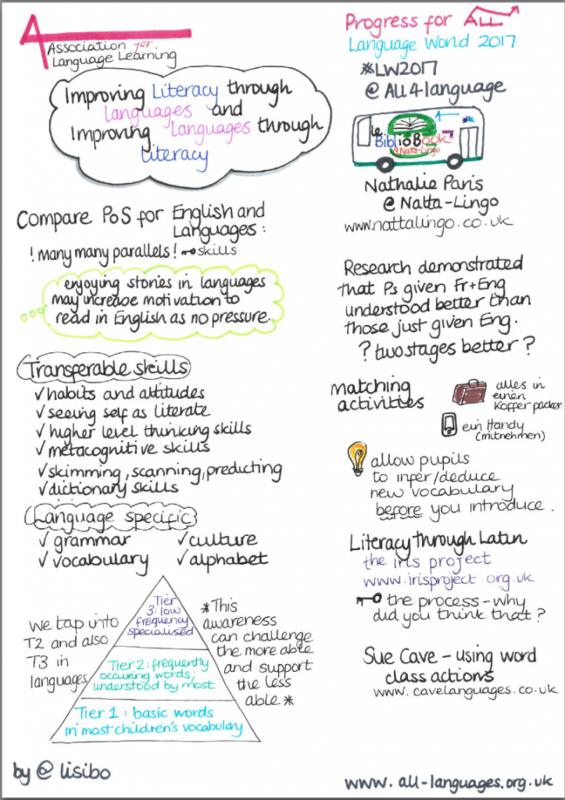 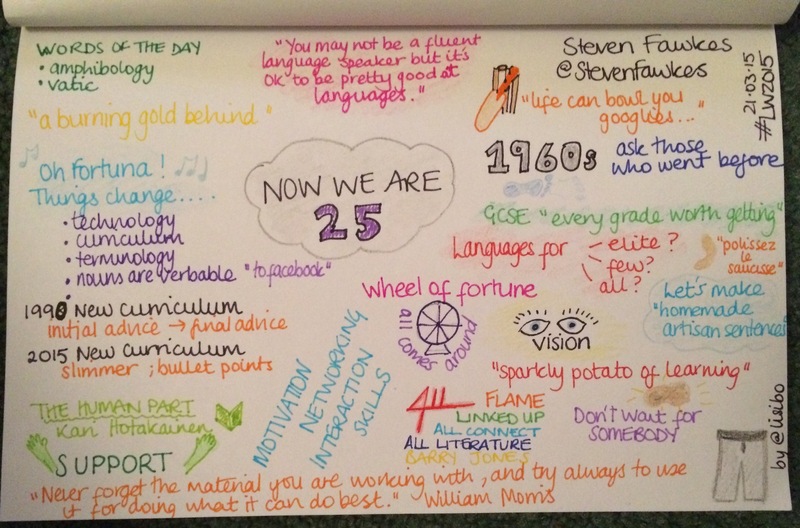 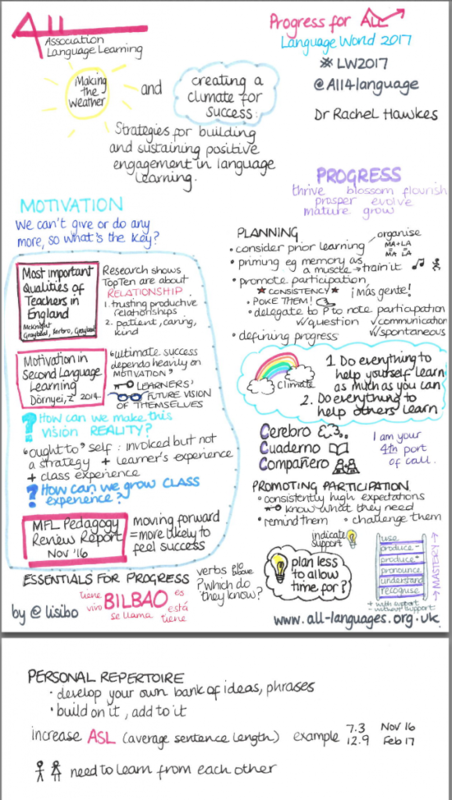 This year I decided to replace my normal note taking with Sketchnoting as started at #ililc5. 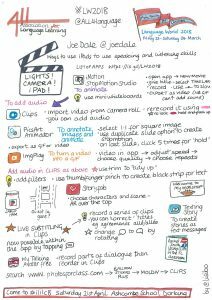 I’d tried using Paper app on my iPad there and found it quite tricky to use to the extent that it was distracting me from the session content. 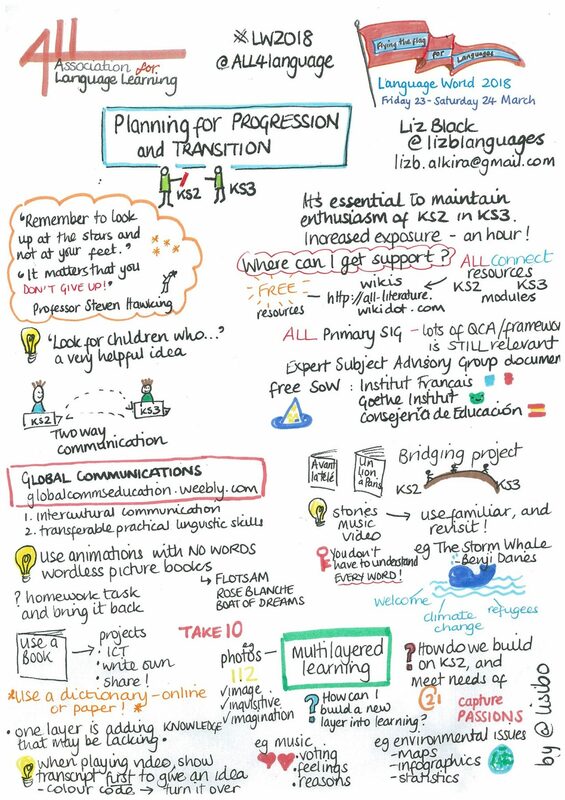 I’ll persevere and practice further but for Language World I choose a different tool – the notebook and pen! 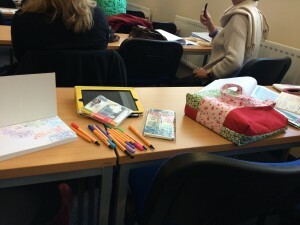 Actually, notebook, pens and pencils! 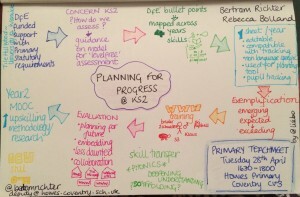 I’m a strong believer in choosing the correct tool for the job, be that an iPad, a pencil and pen or a slate and chalk, and this combination allowed me to write more easily, select colour at will and, most importantly, focus on what was being said rather than worrying about zooming in and out or accidentally drawing whilst trying to make the toolbar reappear! 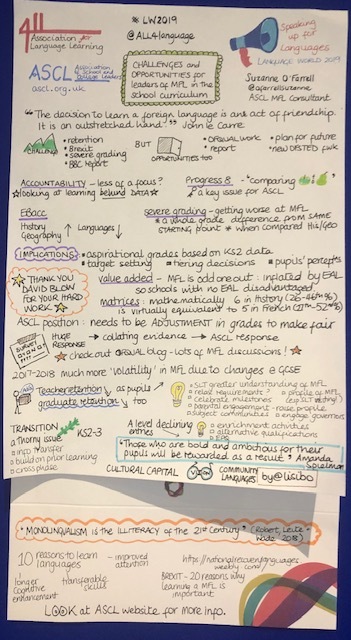 Below are my sketch notes created over the two days. I did them all ‘live’ – no retouching afterwards apart from one on which I’d made a mistake with someone’s name and felt I really should correct it as she’d won an award and deserved it! 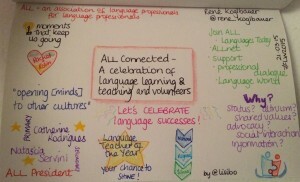 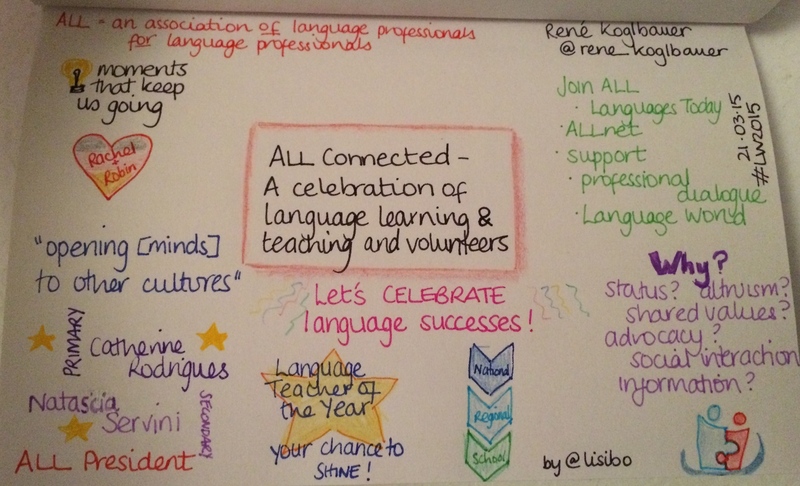 René Koglbauer – ALL Connected: a celebration of language learning & teaching and volunteers. 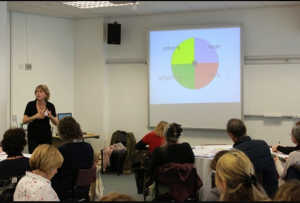 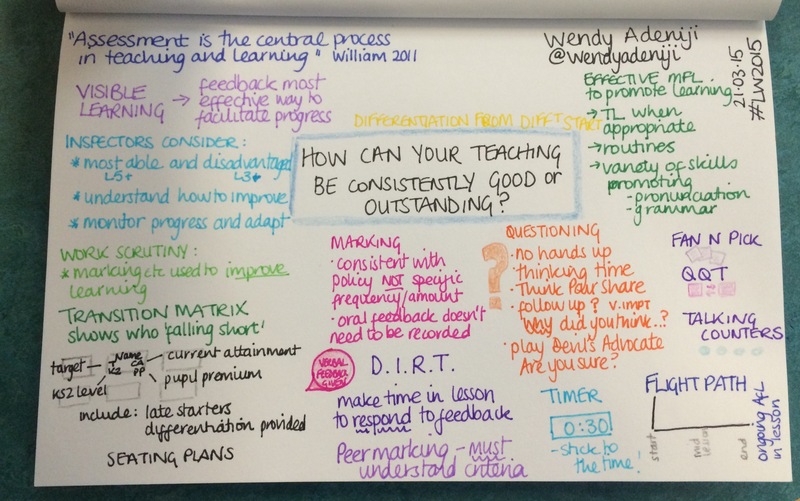 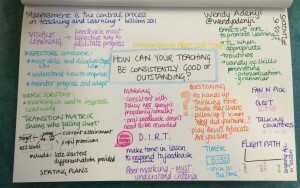 Wendy Adeniji – How can your teaching be consistently good or outstanding? 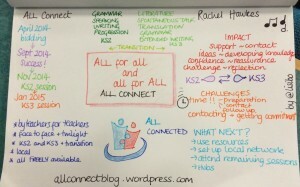 Rachel Hawkes – Memory and thought: why we can’t have one without the other. 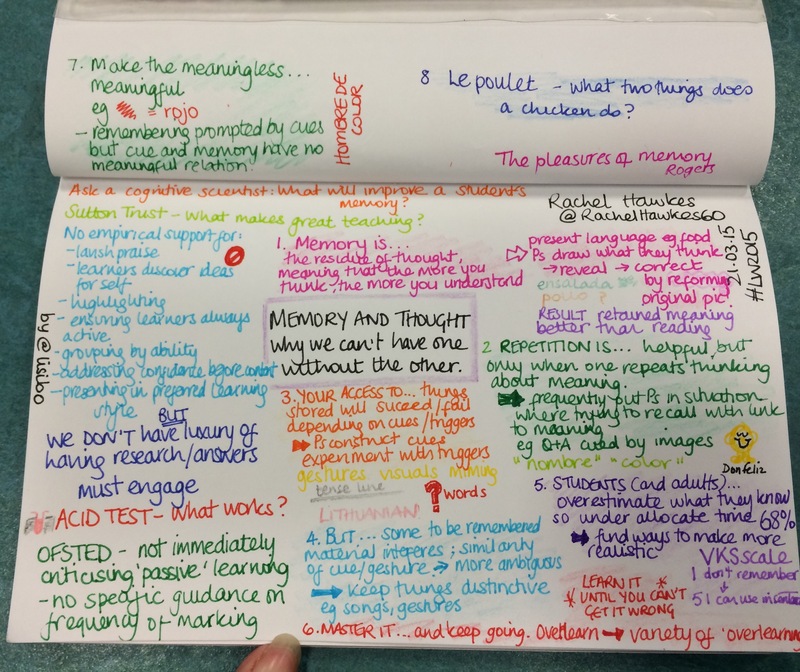 Looking back on them, it’s amazing how much more I can recall about the sessions than I would following my more traditional note taking; my page was smaller than A5 so I had to carefully consider each word/phrase I wrote or picture I drew. 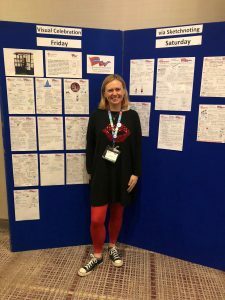 I successfully kept to one page per session (45-50minutes) apart from two sessions where there was just too much to fit onto one page. 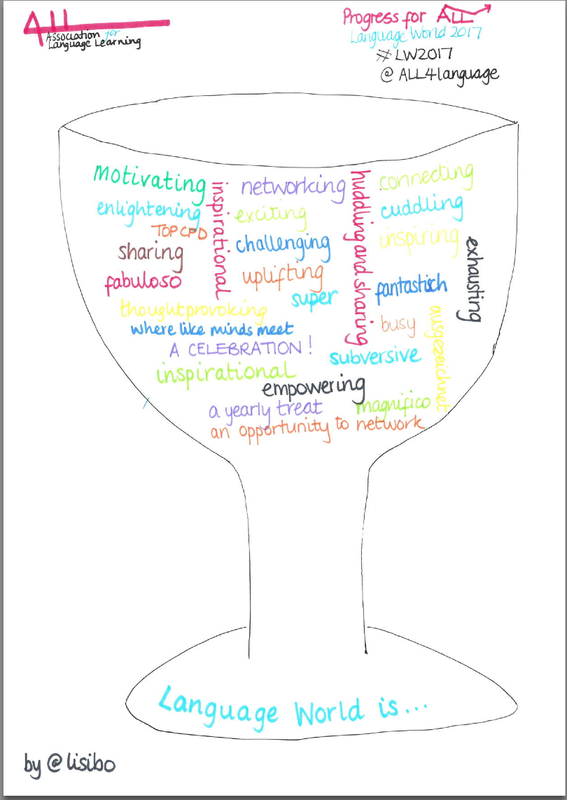 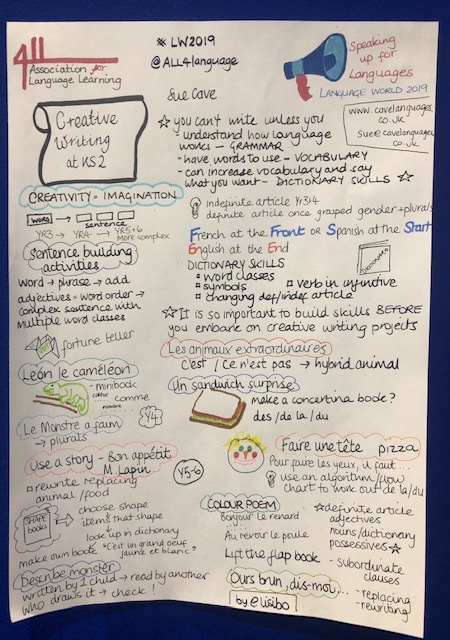 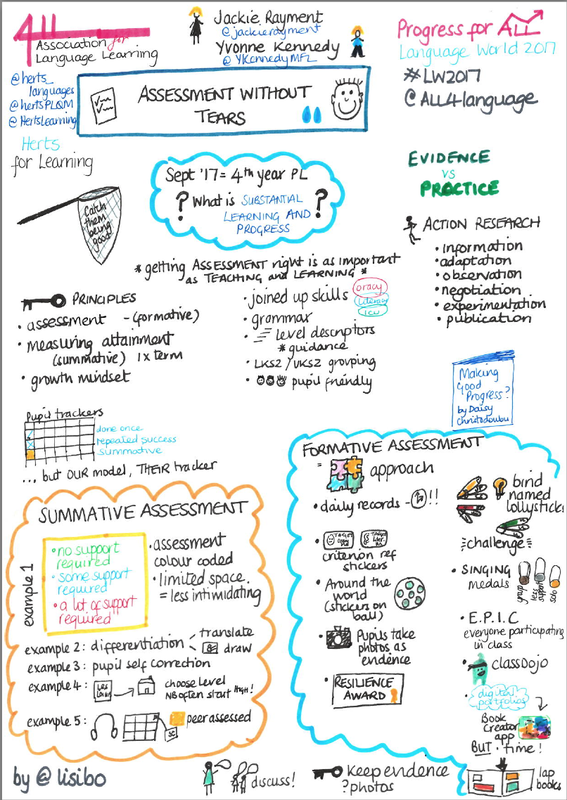 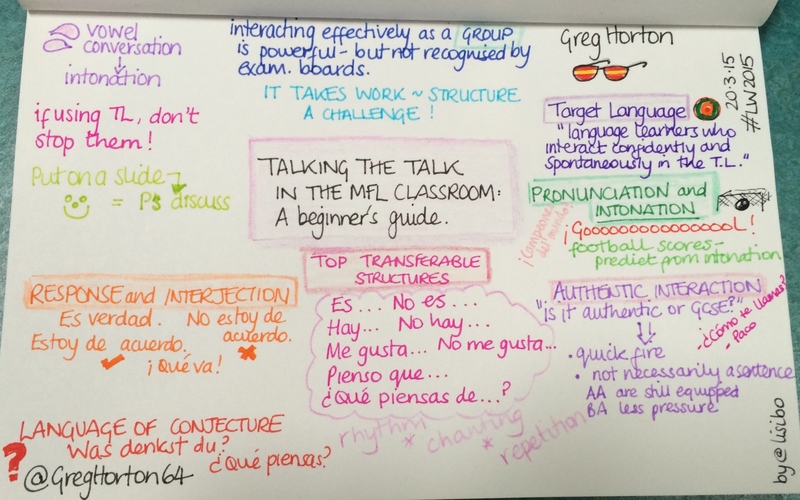 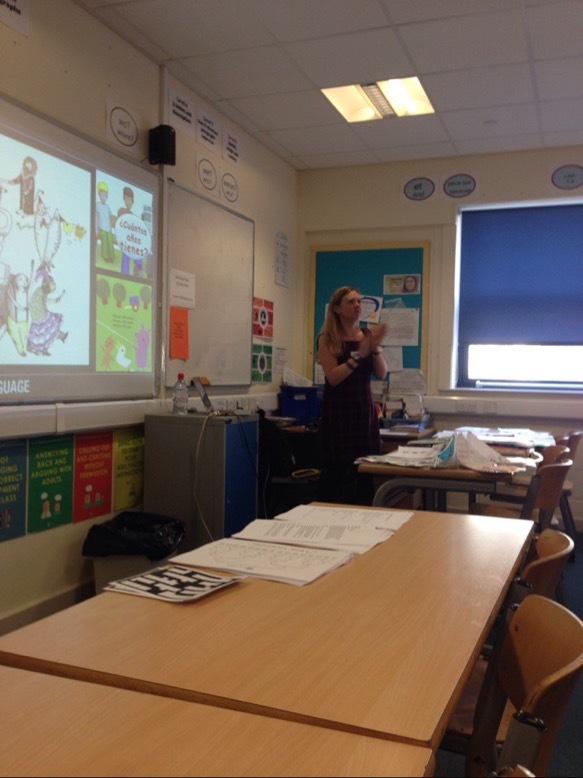 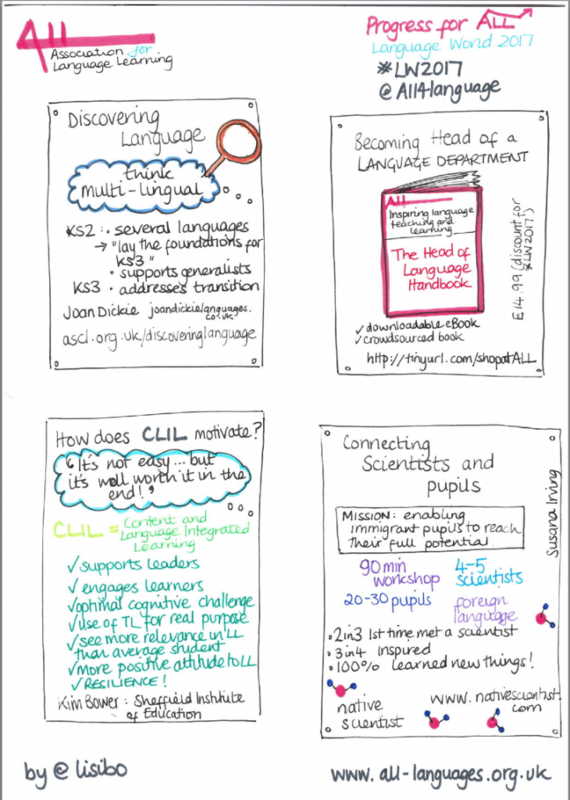 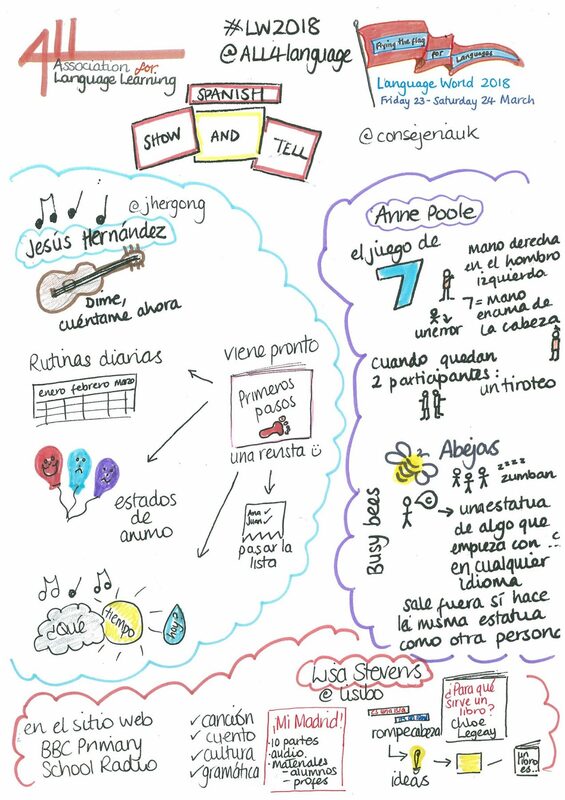 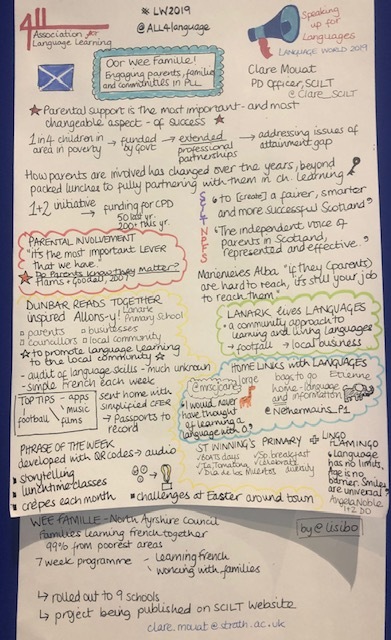 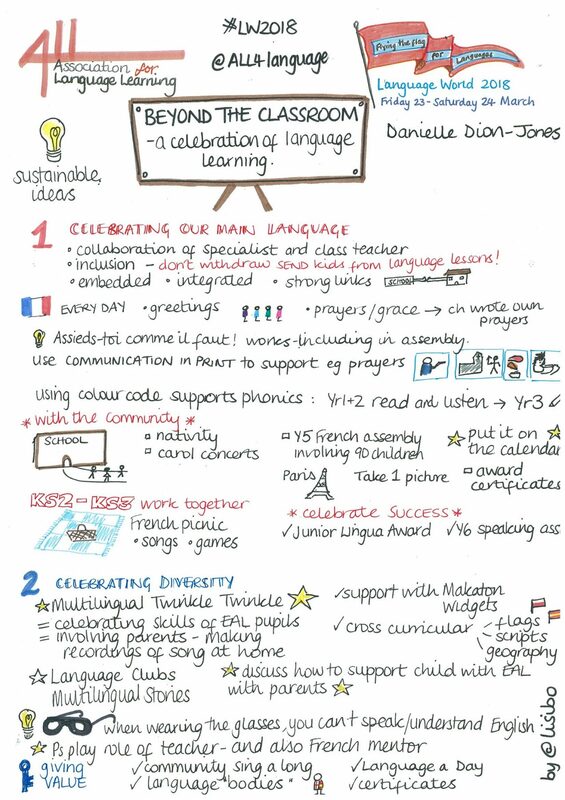 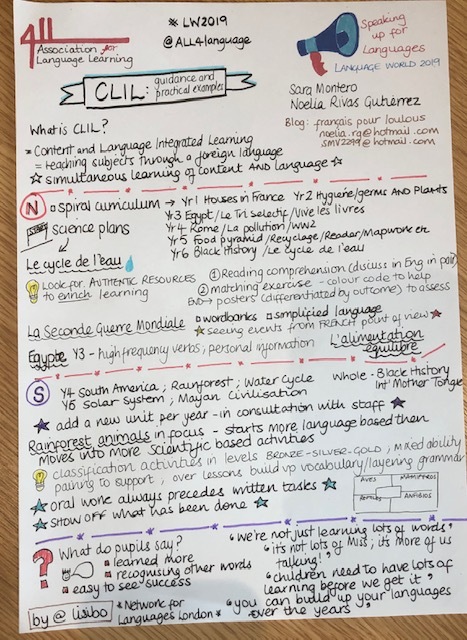 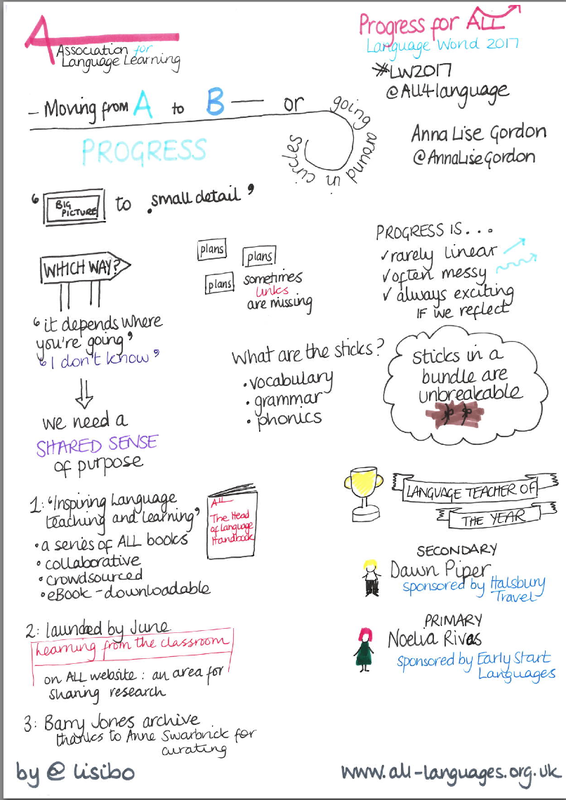 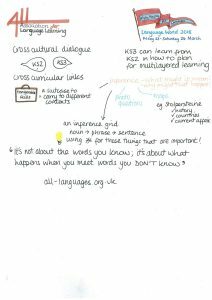 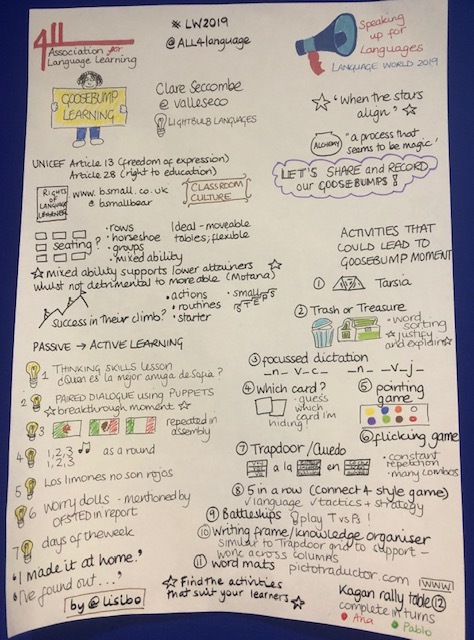 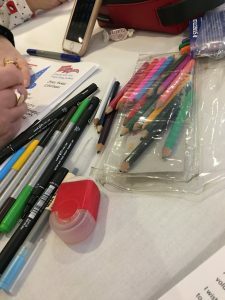 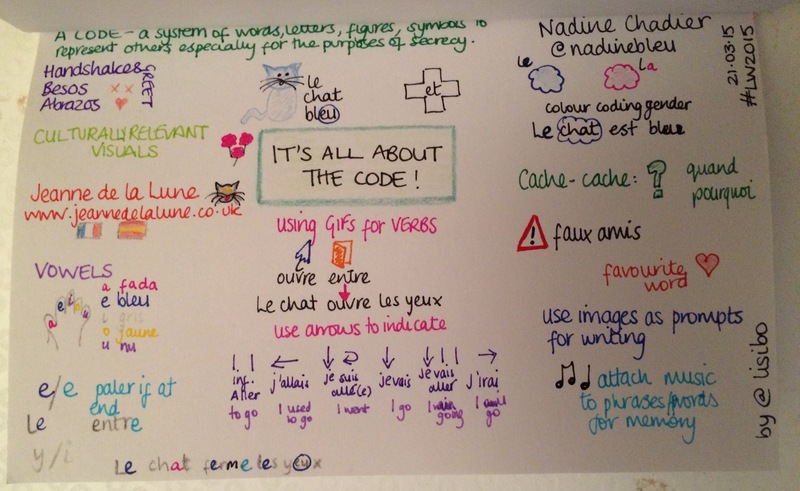 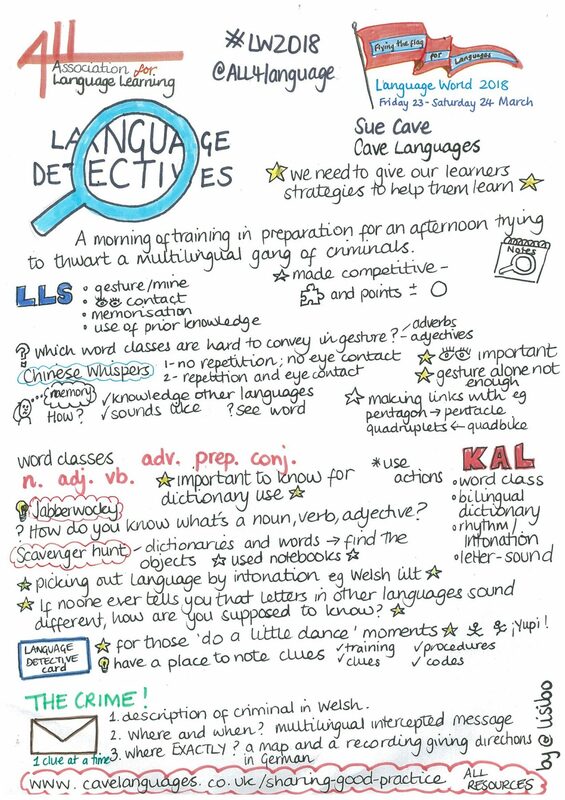 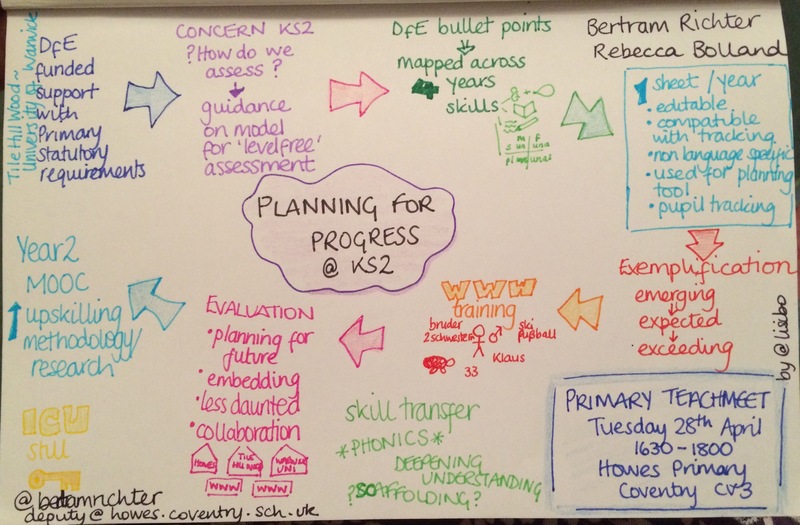 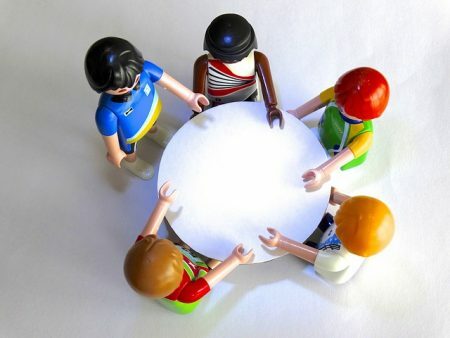 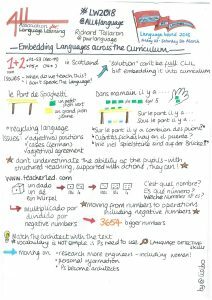 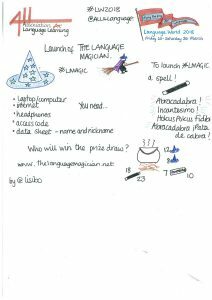 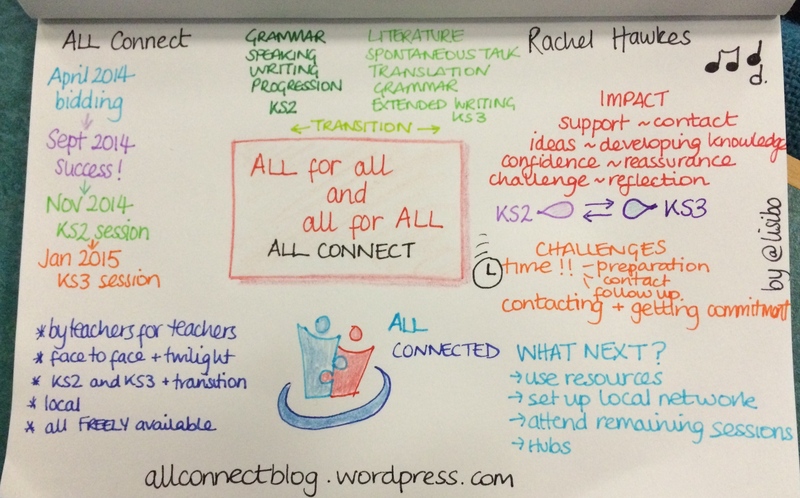 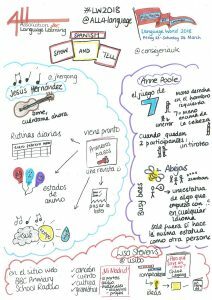 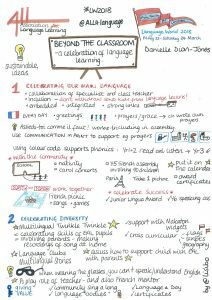 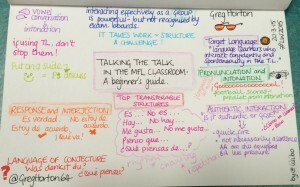 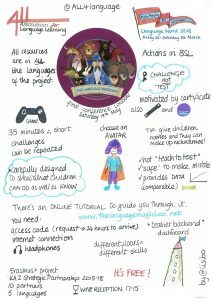 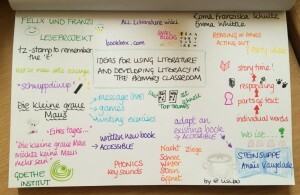 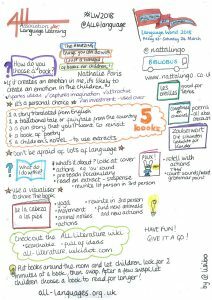 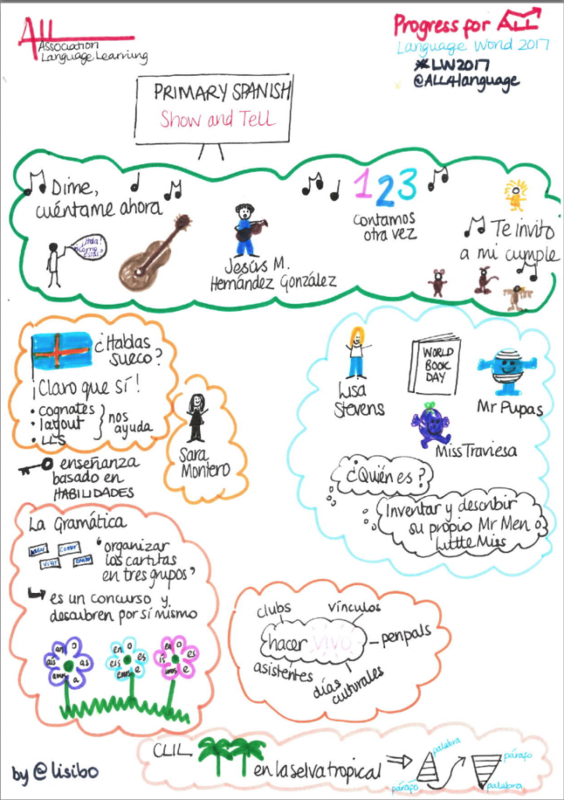 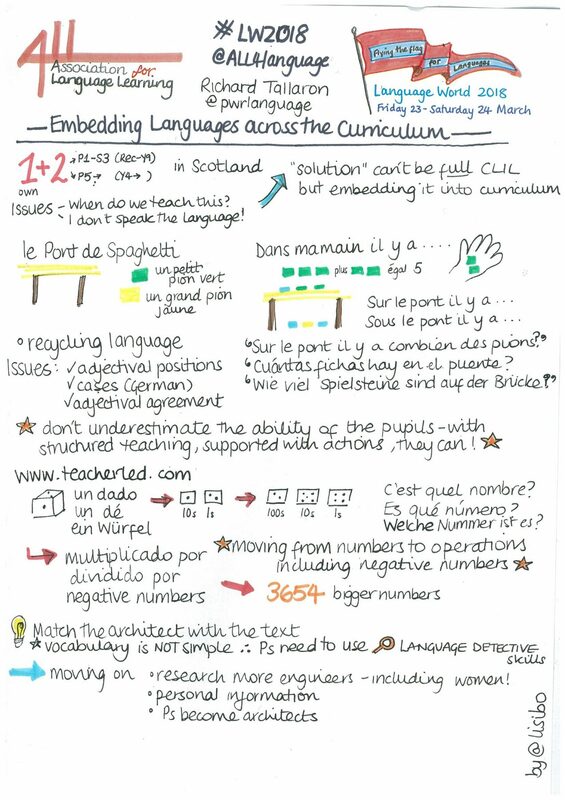 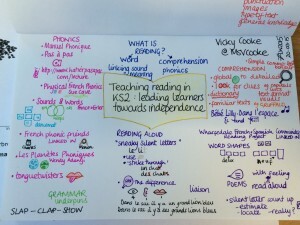 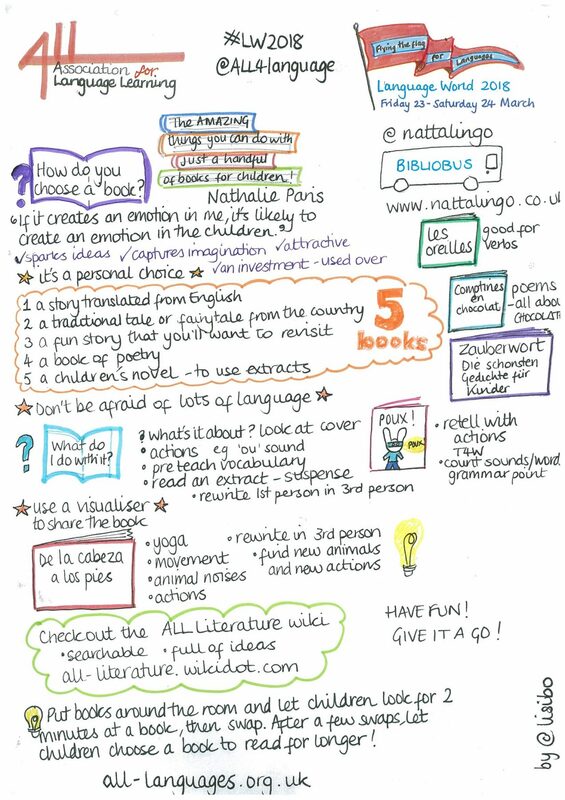 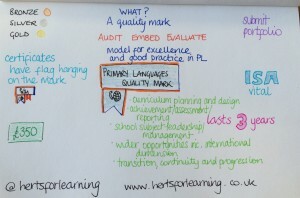 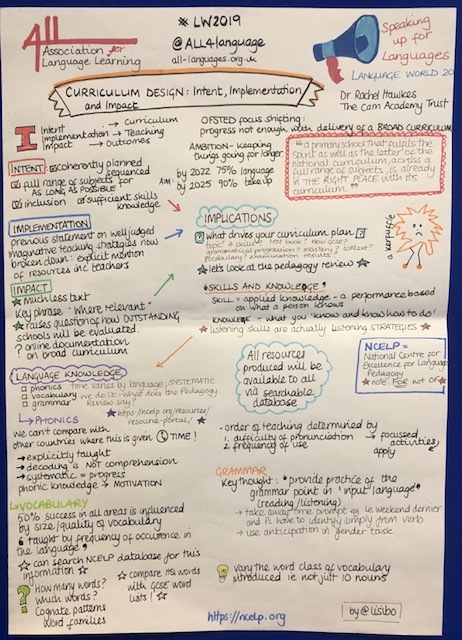 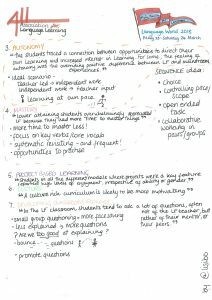 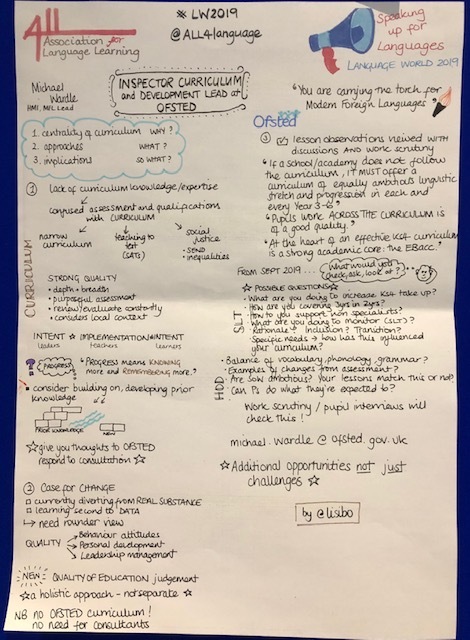 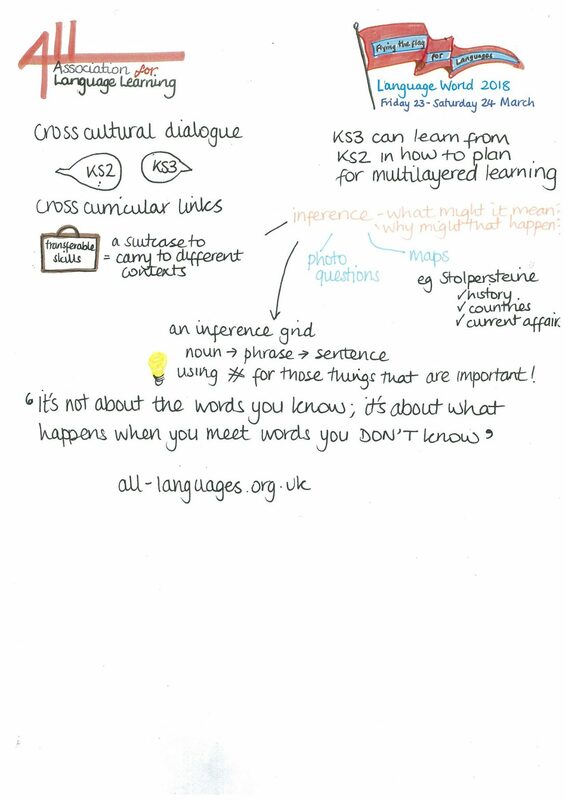 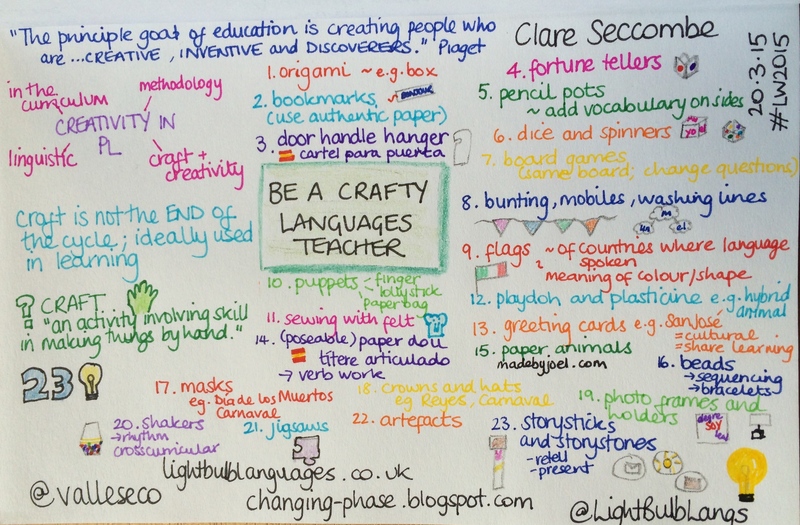 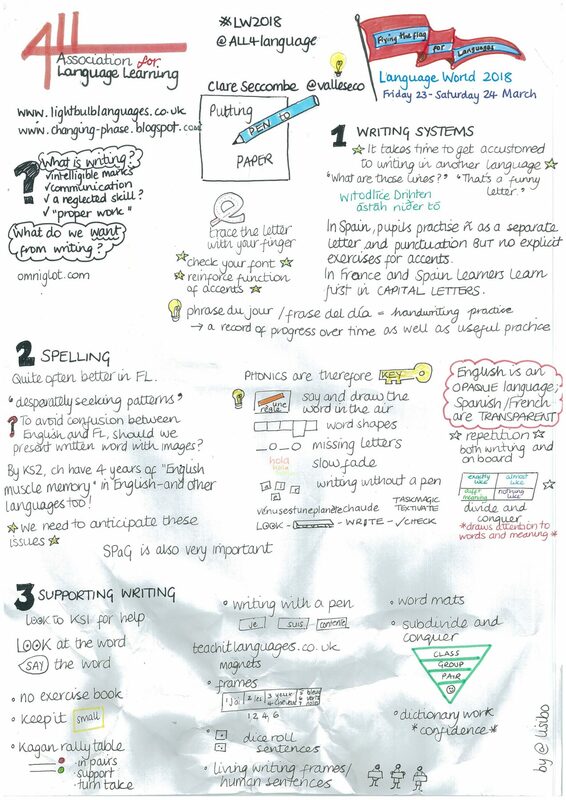 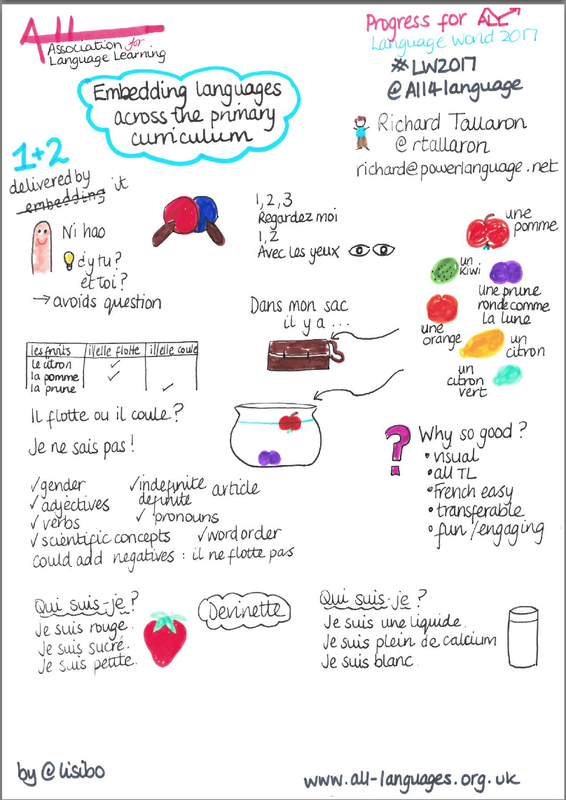 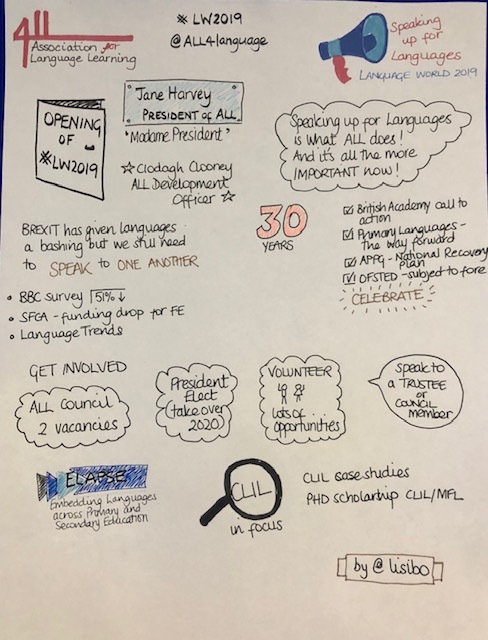 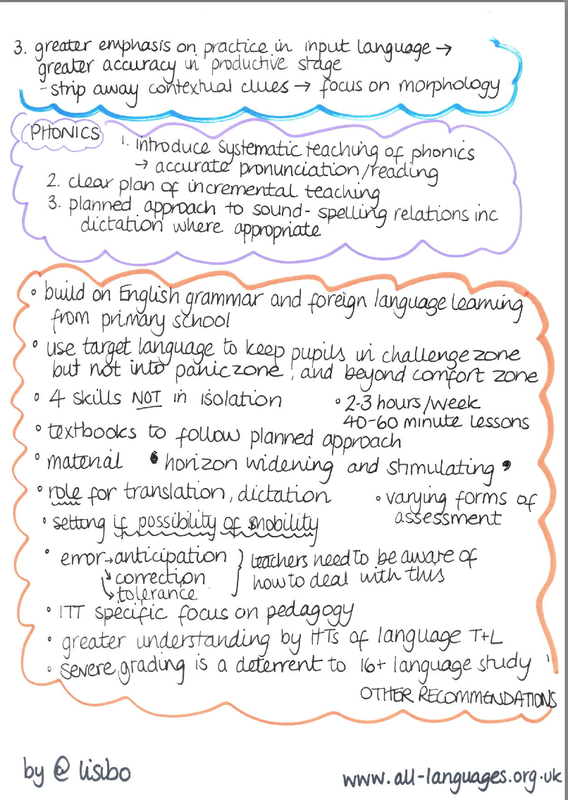 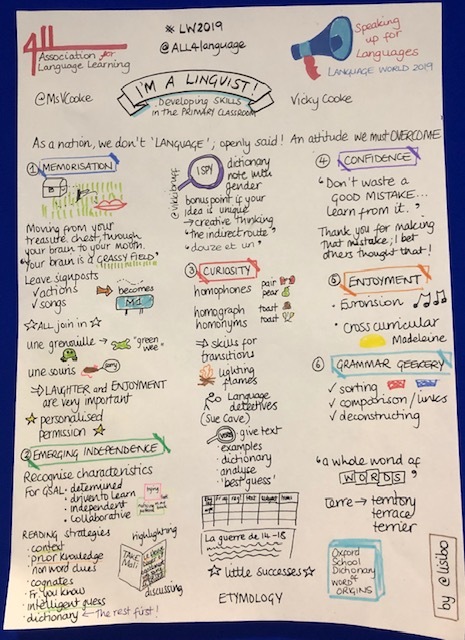 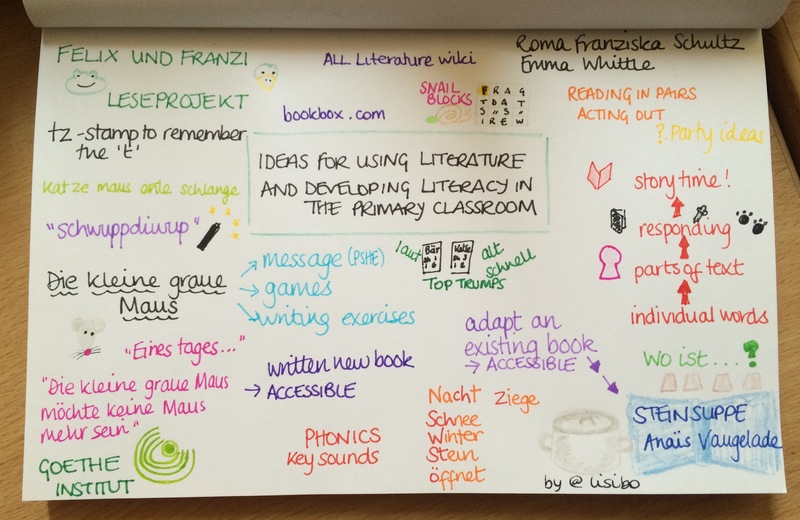 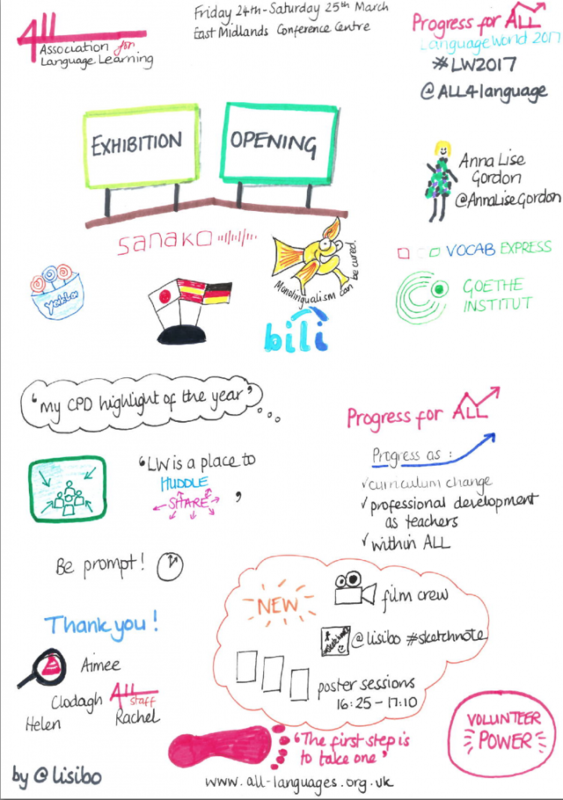 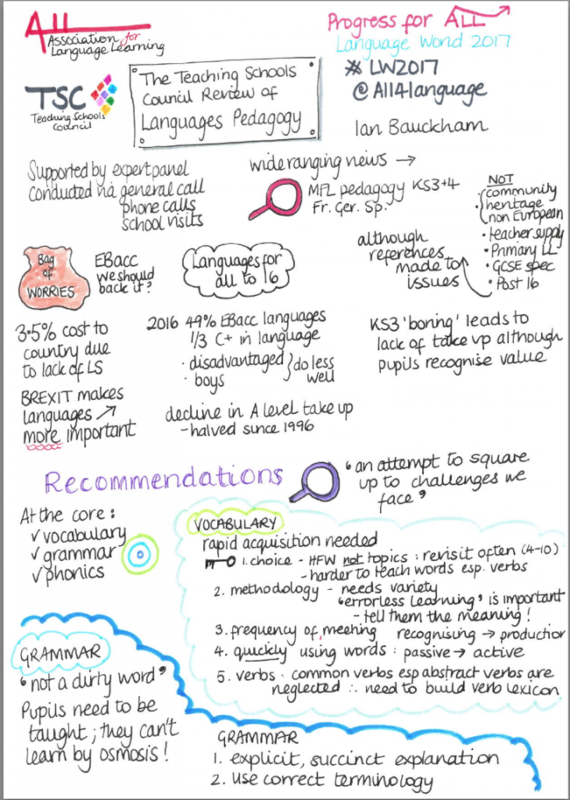 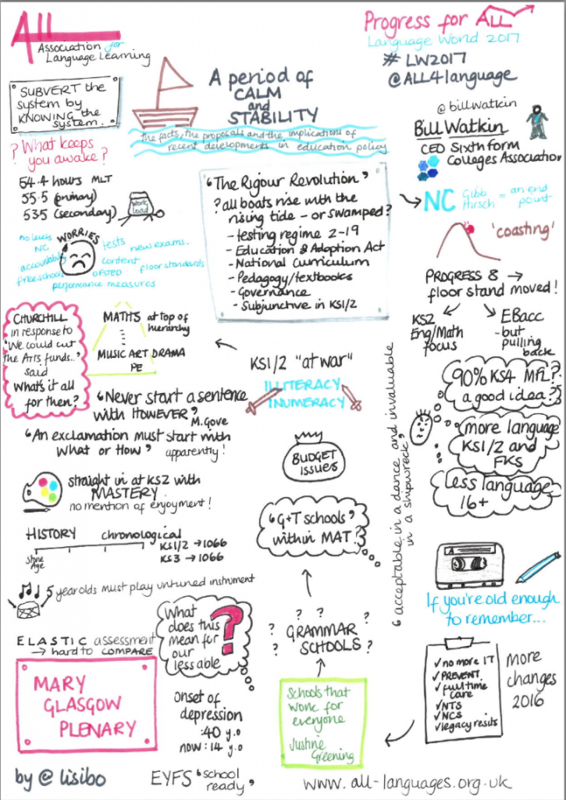 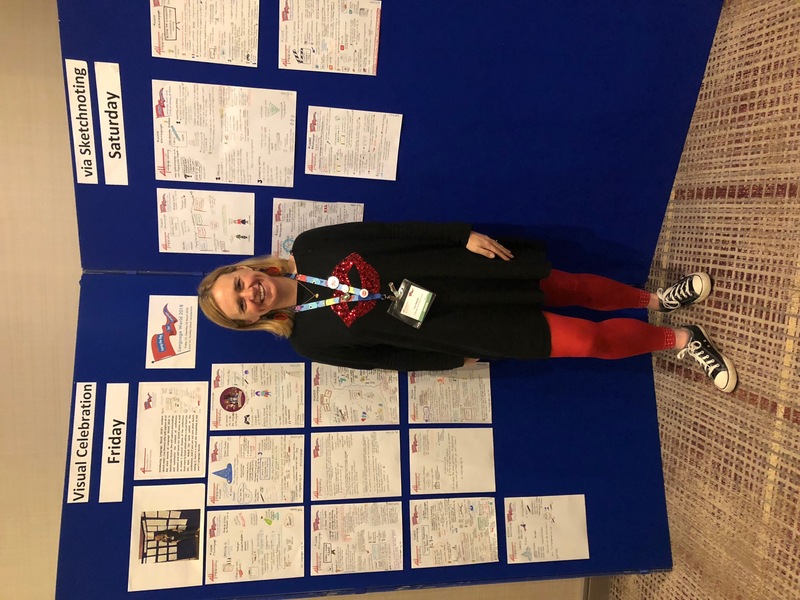 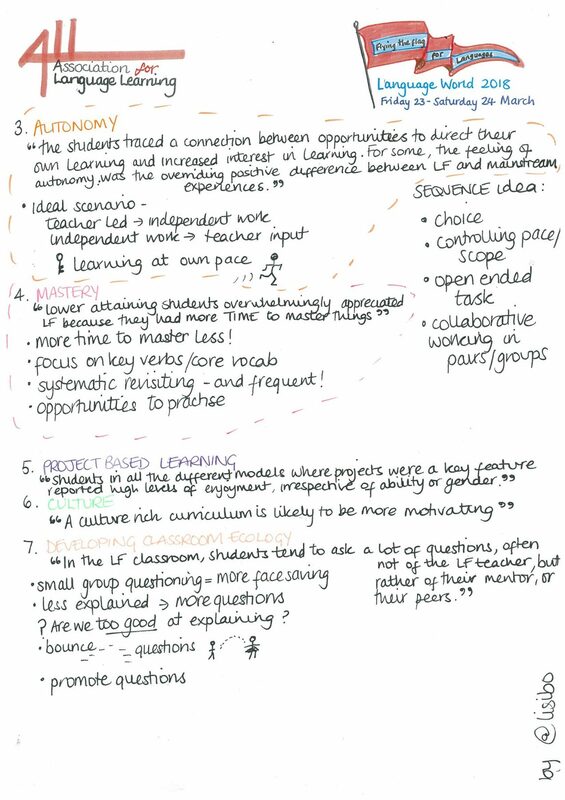 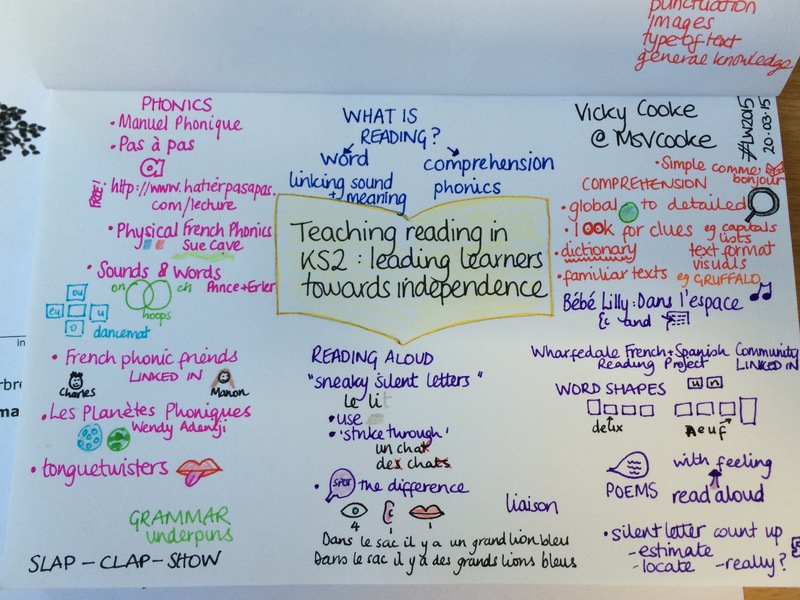 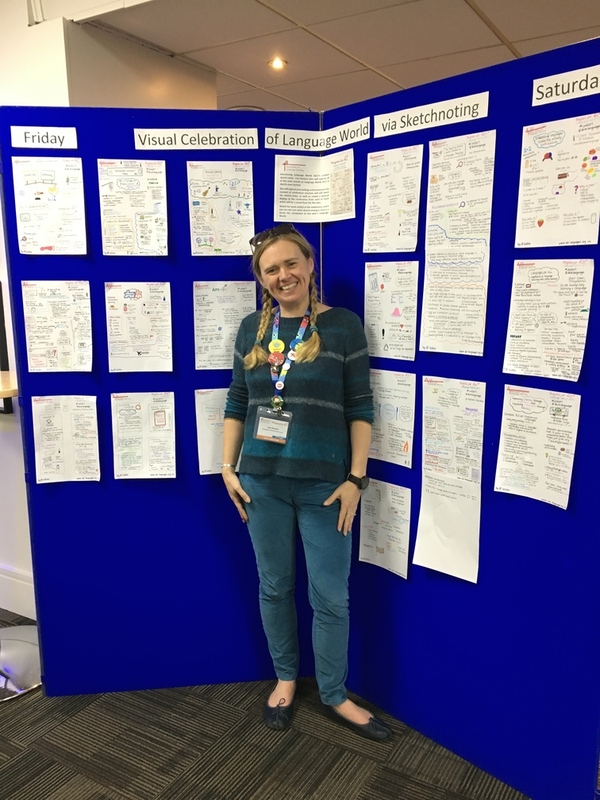 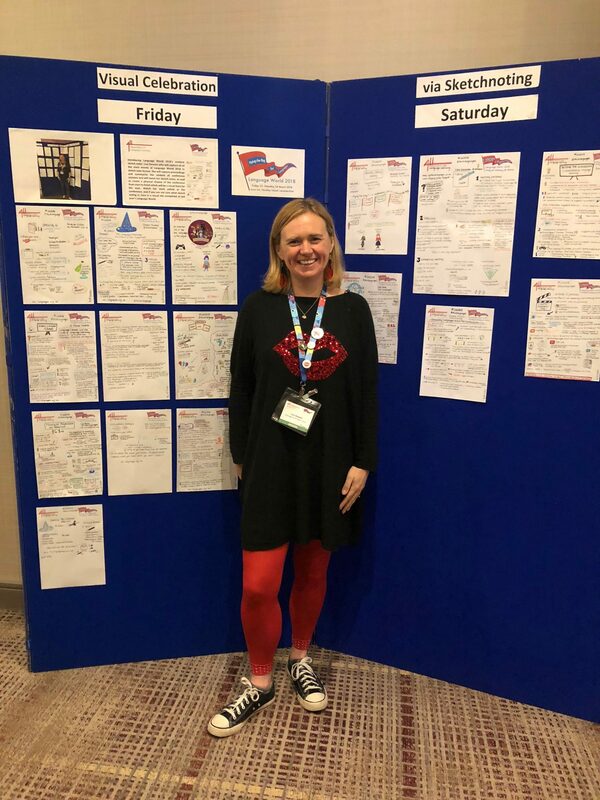 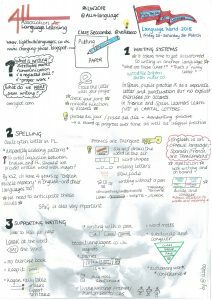 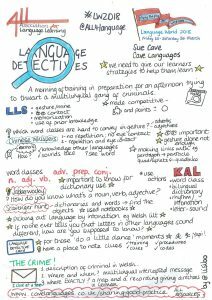 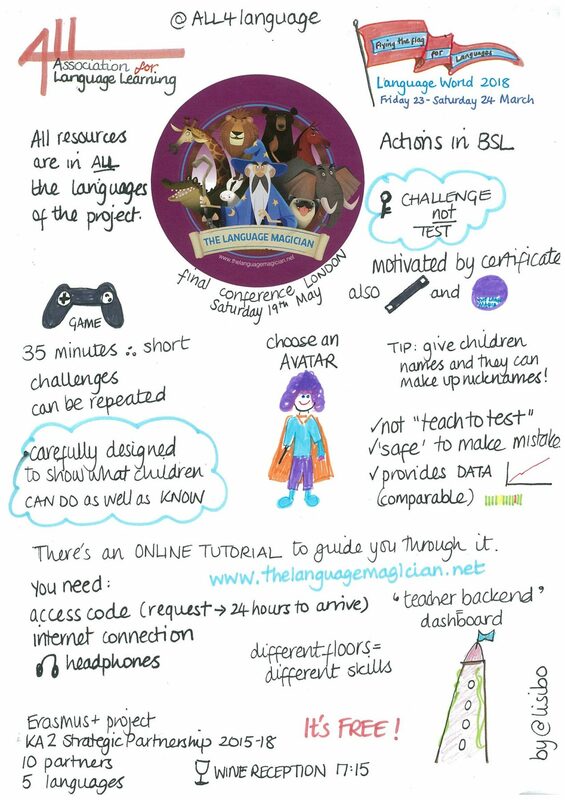 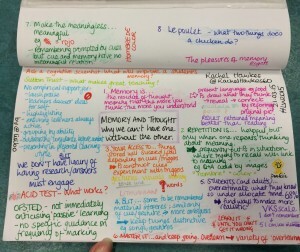 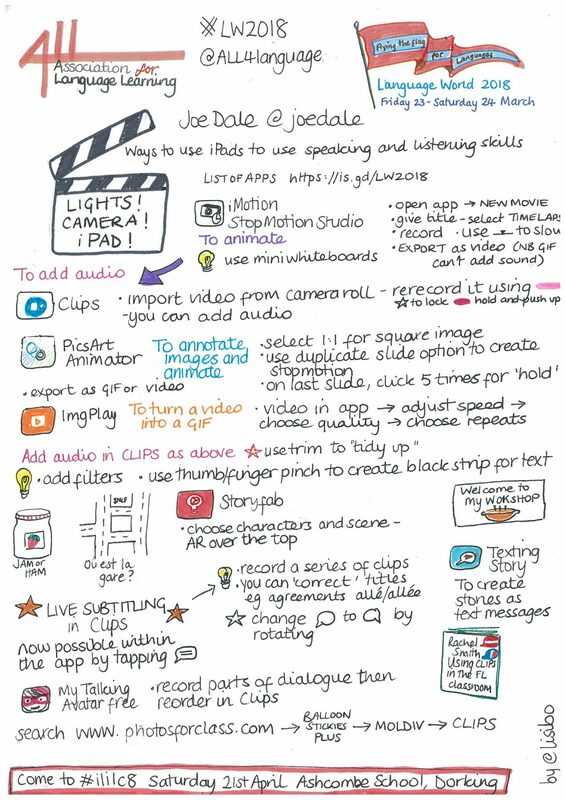 If you want to see someone else’s take on many of the same sessions as sketch notes, have a look at Clare Seccombe’s post that includes hers. 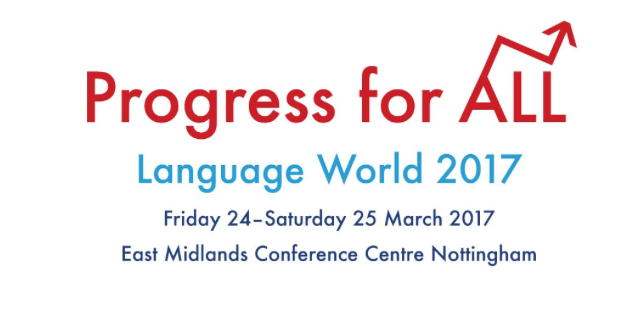 And you can see many of the actual presentations by clicking on Friday programme or Saturday programme. 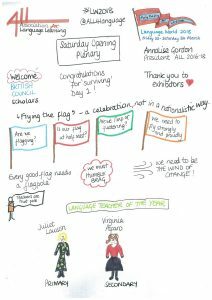 Today I’ve been in Devon (where it was raining!!!) 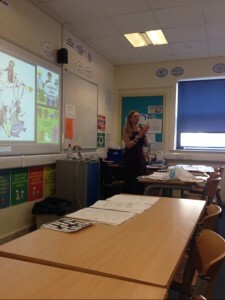 speaking at a conference at Newton Abbot College entitled Modern languages, Modern teaching. 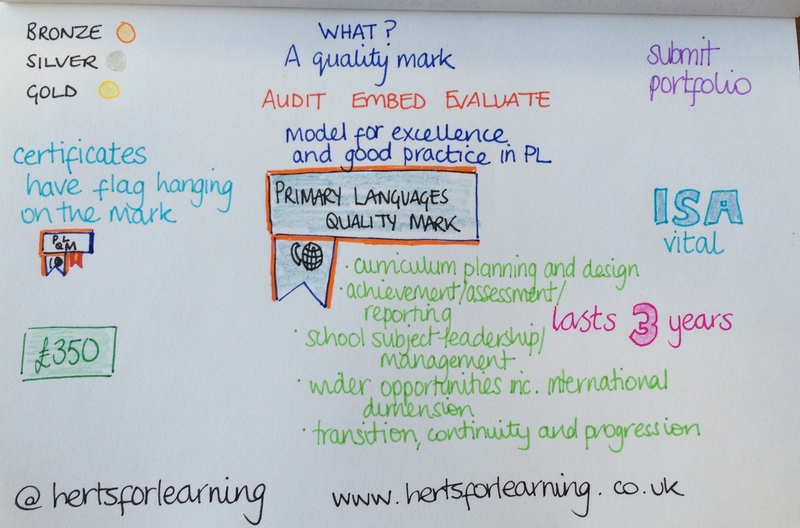 A great way to start half term! I gave two presentations today, one on Top Tips for Primary Language Learning and the other on cross curricular language teaching. 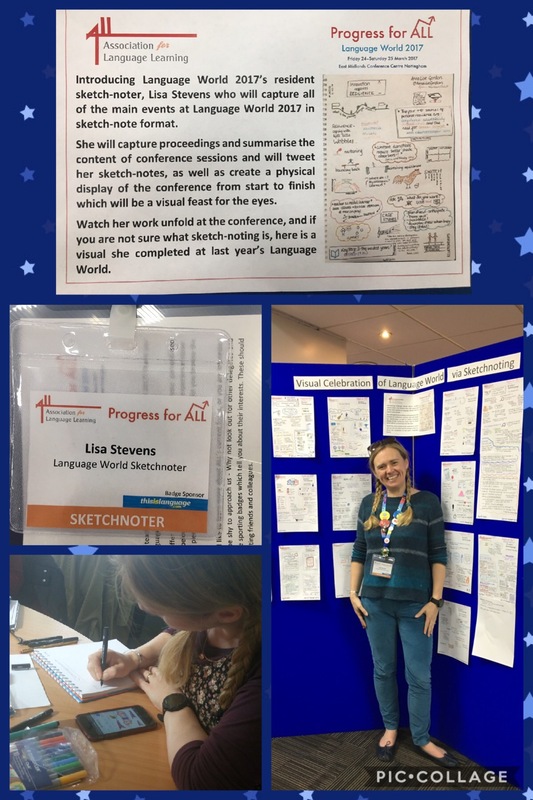 It was lovely to meet the people in my sessions – thanks for joining in and participating in my songs games and activities.I’m currently trying to upload my presentations to Slideshare as they won’t upload directly here, but until then, here are a few of the video clips I shared today! 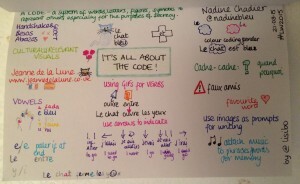 This version has pictograms too! 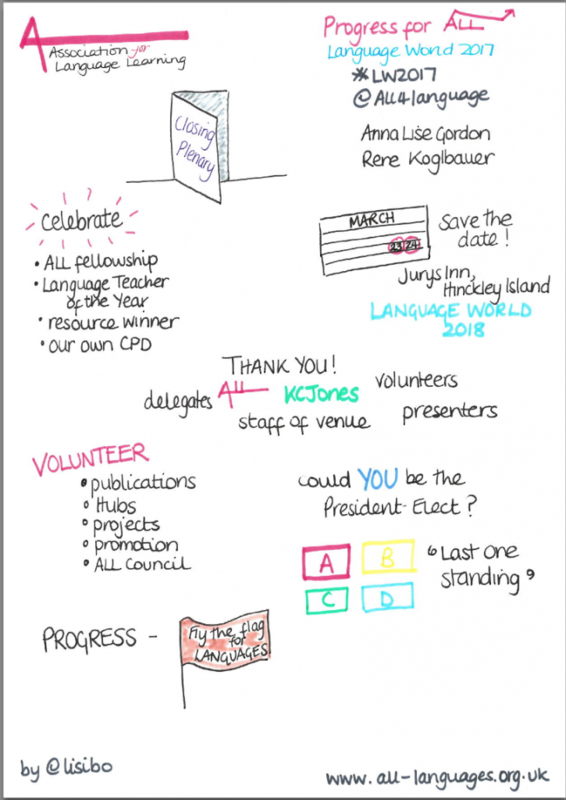 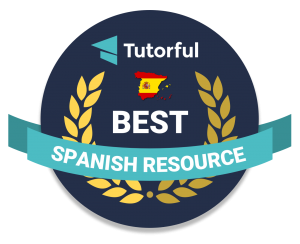 It was touch and go whether I’d make it to Language World this year but having missed it for the last two years, I was determined to make it even if I wasn’t 100%. 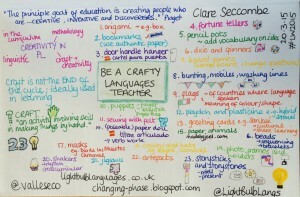 And I did, albeit deaf in one ear and in need of frequent sit downs.